The president’s party almost always loses seats in the U.S. House in a Midterm Election, but Gallup notes that losses are higher when the president’s approval rating is lower. According to Gallup, presidents whose job approval ratings are below 50% have generally seen their party lose an average of 37 House seats. 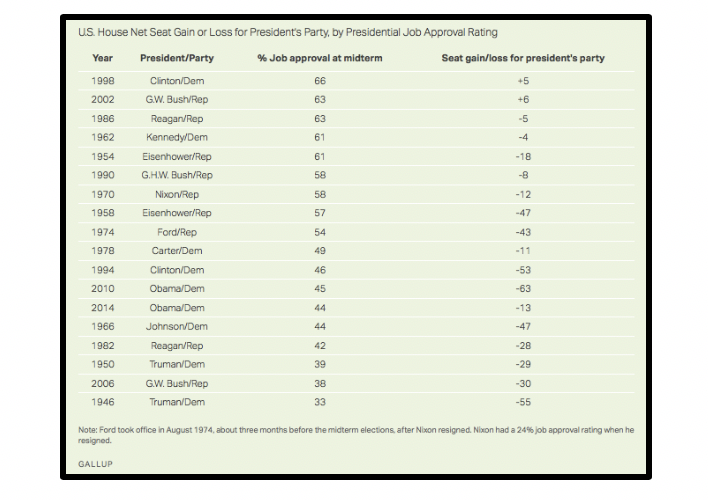 By comparison, for presidents with job approval numbers above 50%, the average loss was only 14 seats. With a little less than two months to go until Election Day, President Donald Trump’s job approval rating sits around 40%. 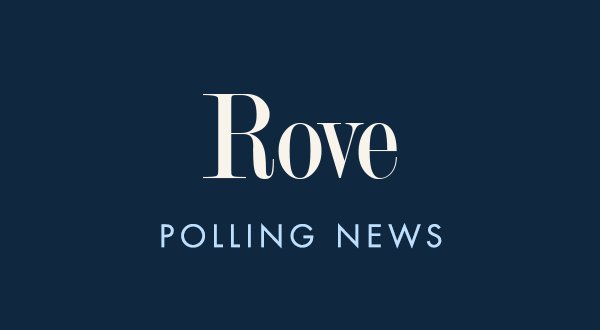 The only presidents to have similar approval ratings or lower were Ronald Reagan in 1982 (42%), Harry S. Truman in 1950 (39%), George W. Bush in 2006 (38%), and Harry S. Truman in 1946 (33%). Those approval ratings resulted in a -28, -29, -30, and -55 seat loss, respectively, for the sitting president’s party. High presidential approval ratings are not protection from loss, however. The Republican Party lost 43 seats in 1974 under Gerald Ford when his approval was 54%, though the GOP’s defeat may have had more to do with the previous president, Richard Nixon. Nor do approval number under 50% necessarily produce a wave. Democrats only lost 11 seats in 1978 when Carter’s approval rating was 49% and only lost 14-seats when Obama’s approval was 44% in 2014. On the flip side, Mr. Obama’s party lost 63 seats in 2010 when his approval was slightly better at 45%. Republican candidates can do little to change President Trump’s job approval rating going into Election Day. What they can do, however, is run good races, focus on the issues important to their districts, and turn their voters out and hope the president’s number generate losses more like 1978 and 2014 rather than like 2006 and 2010.